olitaire board game with 190 challenging levels and 6 different designs for the pegs to choose form. 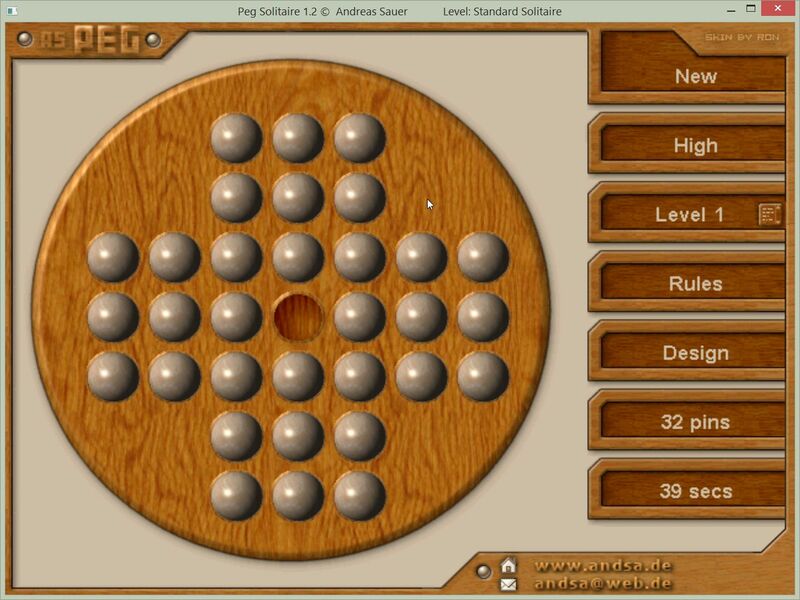 Highscore is available for each level. The game resizes itself to your desktop height. A legal move is to jump a peg orthogonally over an adjacent peg into a hole two positions away and then to remove the jumped peg. The game is won if only one peg stays on the board. The levels are on standard board, french board and diamond board. Programm passt sich Desktopgröße an.